Donald Trump has gone on yet another Twitter rant, this time against Saturday Night Live for mocking him and not the Democrats. 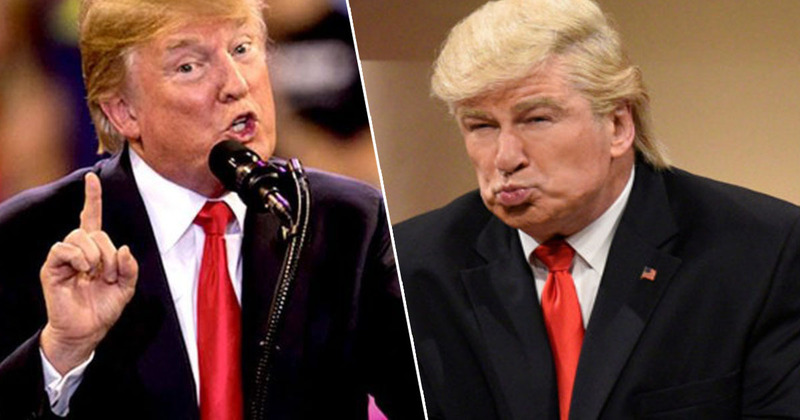 The popular television show is renowned for its comedy sketches, particularly – in recent days – for the ones which call out Trump for his politics. And now it seems Trump has had enough of the show’s regular mocking, because he’s threatened SNL with a federal investigation and called them ‘fake news’. Surprise, surprise. Addressing his 59.1 million followers on Sunday morning (March 17), the president complained the show was one-sided and therefore there ‘must be collusion with the Democrats’. He didn’t stop there though; Trump made sure to get personal with his insults, referring to the show as ‘not funny’ and having no talent. Describing the show as ‘an advertisement without the consequences’, Trump didn’t hold back in his criticism of the show. It was at this point the president wondered openly about whether he should get the Federal Election Commission ‘and/or’ the Federal Communications Commission involved in the matter. According to poll aggregator site FiveThirtyEight, Trump’s approval rating is at 41.4%. The rant comes just one month after SNL mocked the POTUS over his declaration of a national emergency, all due to funding for his long sought-after wall along the US-Mexico border. Actor Alec Baldwin closely mirrored Trump’s comments which he delivered in the White House Rose Garden on February 15, referencing the president’s main talking points for promoting the wall. Walls work 100 per cent of the time. We have a tremendous amount of drugs flowing into the country from the southern border, or the brown line as many people have asked me not to call it. That’s why we need wall. Because wall works. Wall makes safe. The sketch clearly hit a nerve with the POTUS even at the time though, as he took to Twitter (when does he not?) to hit back at the show – yet again mentioning collusion. Nothing funny about tired Saturday Night Live on Fake News NBC! Question is, how do the Networks get away with these total Republican hit jobs without retribution? Likewise for many other shows? Very unfair and should be looked into. This is the real Collusion! I doubt Trump’s comments will be a cause for concern for the guys over at SNL to be honest. In fact, I reckon they’ll only inspire another hilarious sketch. Can’t wait!